MANILA - The daughter of a drug-dealing convict whom authorities described as a "drug queen," had enjoyed VIP police security before her arrest, the Philippine Drug Enforcement Agency said Tuesday. 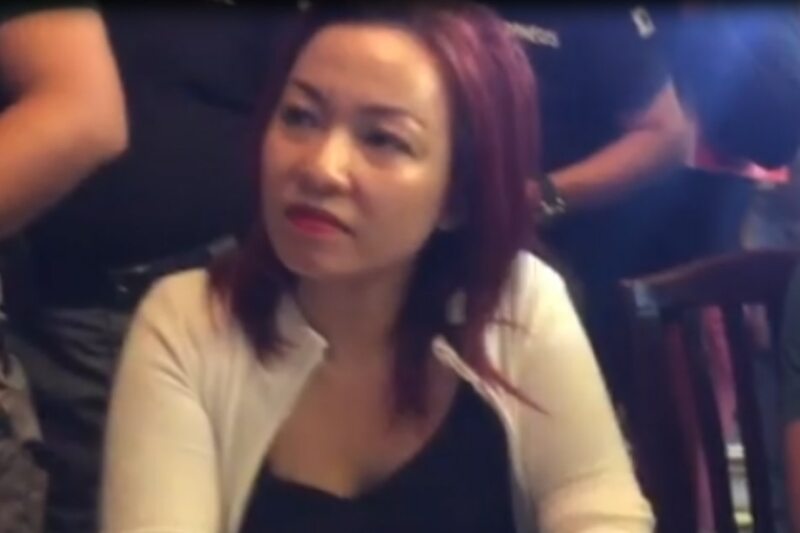 PDEA agents arrested Diane Yu Uy after P10 million worth of suspected shabu was found in her condominium unit near Malacañang Palace on Monday. Hours earlier, another P2-million in drugs was seized at the Correctional Institute for Women, where her mother Yuklai is detained. Uy's security detail was identified as PO3 Walter Vidal of the Police Security and Protection Group. Vidal is a former Special Action Force commando. "Nagkaroon yata ng kidnapping threat itong si Diane and binigyan ng security," PDEA chief Aaron Aquino told DZMM. "Ang problema lang dito, hindi yata na-profile nang maayos ng PNP iyung VIP na binibigyan nila ng security." Aquino said Uy allegedly supplied drugs to the CIW. Surveillance clips showed her avoiding frisking by delivering sacks of rice that allegedly contained shabu through the facility's back door. Uy is suspected of sourcing narcotics from 3 convicted drug lords at the New Bilibid Prison, Aquino added. Her cellphone allegedly yielded text messages about orders of shabu. "Malakas pa rin ang kalakaran ng droga sa loob [ng Bilibid]," he said. Yuklai's "kubol" meanwhile yielded pantyliners stuffed with shabu. The 72-year-old inmate has been shouldering the correctional's P1-million monthly power bill, said Aquino. He said Yuklai previously made headlines when she was caught visiting a casino 2 years after her conviction. Aquino said PDEA would file new cases against Yuklai, whom he previously described as the country's "biggest drug queen." The agency will also set up a satellite office in Bilibid to curb the narcotics trade there. Aquino, a former police official himself, said he has asked PSPG to investigate how Vidal was assigned to guard Uy.